A family conflict, such as a divorce, is often a reason that a title search is ordered. A marriage is a form of a partnership, and no place does this partnership become more financially crucial is homeownership. The marital home is likely to be the largest asset owned by the partnership. As a marriage becomes strained, there is the potential for this asset to become encumbered. One party may extract equity in the form of an equity loan. 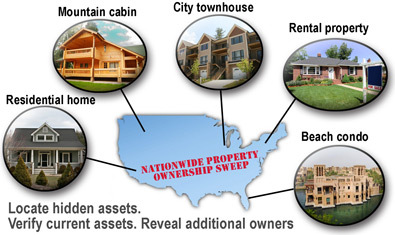 A party may even change ownership or vesting on the property. Many times, this is done without the knowledge of the other party. The first step recommended by family law attorneys is to identify the assets of the parties. A property title search is usually a critical part of that process. 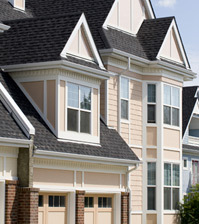 The title search report will show the current ownership of the property, and include a copy of the deed. This way, any ownership changes will be shown. Second, the title search document will display the open mortgages on the property. If a mortgage was refinanced without the other spouse’s knowledge, this will be apparent. In addition, if a second mortgage, or home equity line of credit has been taken out on the property, these will appear on the title report. The names of lenders and the amounts of any mortgages will be disclosed to the client. For a title search being performed for a client checking on a spouse, we include other search results as well. One area often requested by a spouse or their attorney is other properties owned. There has been more than one occasion where a property records search has discovered other property owned by a spouse, unknown to their partner. Often this property is co-owned with a third party. A recent title search ordered by a wife found that her husband owned a beach house in another state, co-owned with the husband’s secretary. In another case, a spouse was found to have investment property owned in a shell corporation, which the partner did not know about. This led to discovering even more substantial business assets that were intended to be kept hidden. A title search is a window to potential asset discovery that can be valuable in a divorce proceeding. 15�20 page title document sent by email in 12/72 hours. 100% confidential, no notice or record is made of the search. Secure server and encryption used for all billing information. All information kept confidential, and not disclosed. No notice is made of your search. Discover properties which may be currently owned, or previously owned. Determine the true equity in a subject property. Find ownership transfers of properties or mortgages. 15 - 20 page title document sent by email in 12/72 hours. 100% confidential, no notice or record is made of the search.